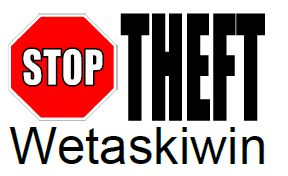 As with many businesses, Wetaskiwin Co-op is aiming to reduce theft by initiating a STOP THEFT program. We are reaching out to local businesses to join forces with us to create a program which would include attending monthly meetings to discuss shoplifting and security. Attendees will comprise of business owners, managers, loss prevention staff and hopefully a RCMP liaison. The agenda will cover open discussions to identify theft trends, identify specific individuals with photos or videos, and possible education opportunities. The success of this program relies on business involvement. This group will form a network that will allow businesses in Wetaskiwin to collaborate, share information and ideas that will ultimately strengthen prevention practices and reduce theft. February 20, 2019 at 1:30pm, at Wetaskiwin Co-op’s Home and Agro Centre Board Room. To attend, please RSVP Garry Williams by email or phone, please see below.